Hi I know I'm behind but really that's because November is flying by and basically my whole life is flashing right before my eyes. 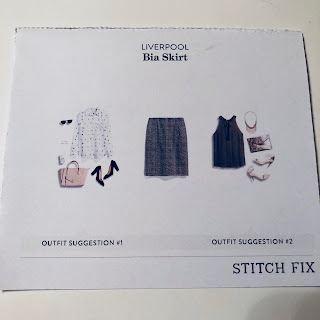 I say all this because I recently got an email that my December fix is being sent so I figured I should probably get this post up haha. For a full explanation about Stitch fix, you can read my Stitch Fix Review, but basically what it is, is they pick 5 pieces for you a month (can be tops, bottoms, dresses, outerwear, purse, shoes) and mail them to you. You then try them on in your home and then within 3 business days you decide what you love and what you'll pass on and you mail back the ones that weren't you're favorite and then buy the ones you want to keep. 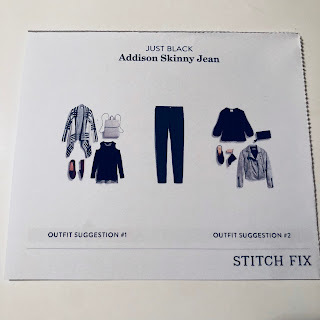 How they've picked these pieces is that there's a stylist who you'll tell all about what you like to wear, what you want to try wearing, and what you don't like. 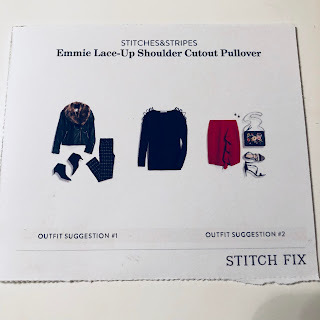 I personally really like this because it's more efficient than going from store to store to store to try on a ton of clothes and it's more successful than guessing how something will fit and taking a chance with online shopping since you have an expert deciding what you need and what size you need it in based off what you've given them. So far my stylist Lili has hit it out of the park 2/2 times so I'm personally a happy customer. Anyways, I just found out that for any fix ordered between now and Christmas day, they'll waive your styling fee so basically you can try it for free and if you end up hating all 5 pieces (although I seriously doubt that), you pay nothing since shipping is nothing! I've read your comments from those of you who are interested in it so I thought I'd share with y'all what I got :) Just use THIS link to make sure you get the promo! Oh and side note, I got my new Echo Look in like the same week that I got these so I thought this would be the perfect excuse to get to play around with that! My box got delivered while I was at class so when I ran home to change during my lunch break before work, I was very excited to rip this thing open and see what workwear I got. I saw this skirt and instantly was like yep this is what I'm wearing today! I'm glad I did because my coworker complimented my skirt like literally the minute that I walked through the door. 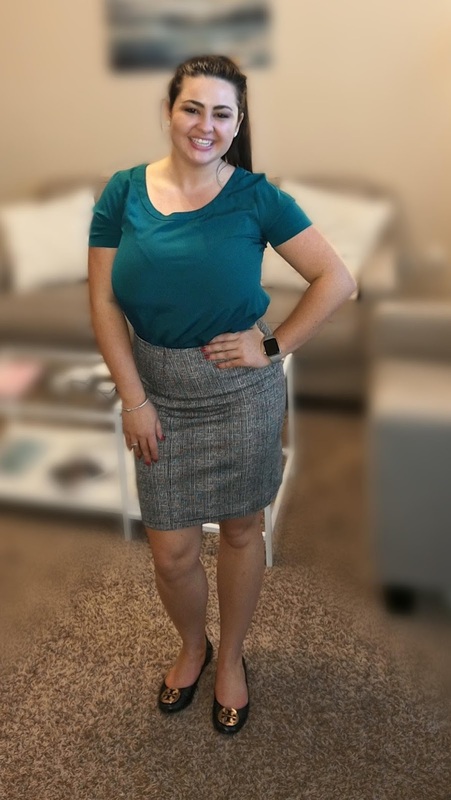 I'm in love with this skirt because unlike normal pencil skirts, this one is super strechy so I'm not stuck being all awkward climbing into my car or picking something up off of the ground because I can actually move in this thing. Not only that, I really like the black and white pattern because it's less boring than a solid color but isn't too out there of a print (you'll see what I'm talking about in a second haha). Obviously this one was a keep! I couldn't find the exact skirt, but here's a similar one. Thank you to everyone who voted in the poll on my Instagram story! 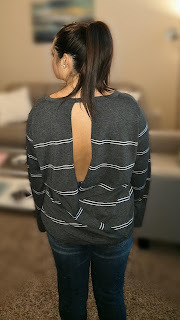 For those of you who missed out, I was super torn about this sweater because it was so soft and warm and I really liked how it had the slight bell sleeves and an open back (which I found out looks better as just an open back than trying to pair it with a racerback bralette), but I wasn't the biggest fan of the stripes. This also was a little too loose on me so I had decided that if I was going to keep it then I would need to size down. 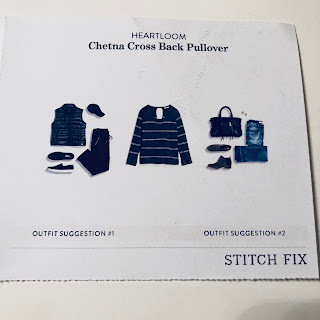 In the end, I knew that the stripes just weren't happening for me so I decided to return it but I think I'm going to ask in my next box for something similar to this just a size smaller and without the stripes. I found a similar sweater here with the same sleeves that is still open back (just not as much). This is another piece that I included in the Insta story poll! In the request box on this fix I mentioned how I was looking for something for Thanksgiving and I know exactly why Lili picked these for me. 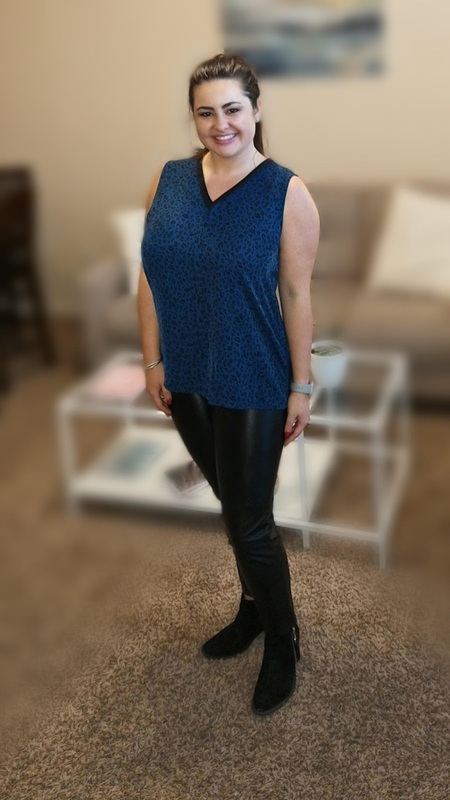 These are jeggings which are super stretchy which would allow me to look cute for Thanksgiving dinner but still be comfortable with an extra full belly. I also loved these because I feel like olive-colored pants are having a moment right now so I was excited that she sent me something so on-trend. 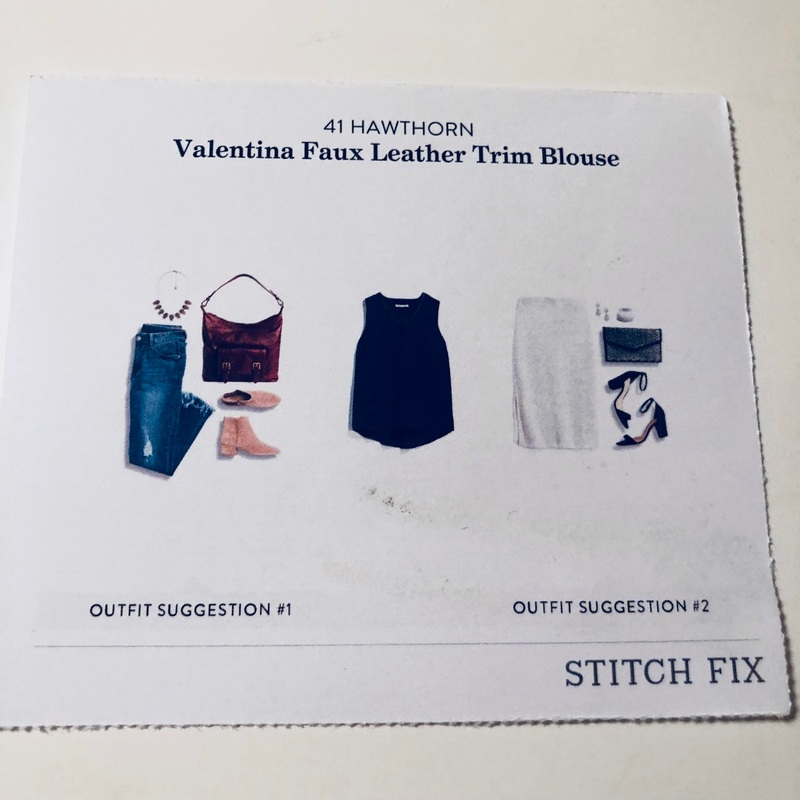 The reason why I felt like I needed y'all's help with these is that I was worried that they might be too trendy for me and also was concerned that I wouldn't know how to style it besides just with white and brown but literally every single person voted for me to keep them! 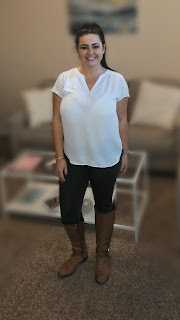 If you are looking for some olive jeggings for Thanksgiving, here's a similar pair. Okay so here's the backstory behind this shirt. 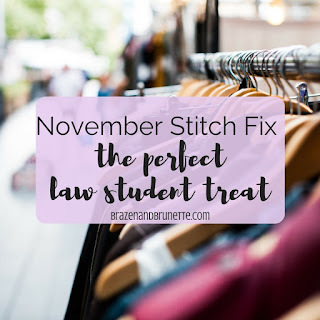 Not only did I request Thanksgiving pieces, but just for fun I threw in there that it'd be nice to maybe get something I could wear out to the bars when I go meet my friends for drinks (wishful thinking because I like never go out anymore #old #lawstudentprobs). I've actually seen some fashion bloggers wear blue leopard so I think this might be an upcoming trend, so I have to give Lili props for trying to help me be ahead of the trends and push my comfort level. I'll admit that it actually did look pretty cute with my faux leather leggings and booties, and the fabric was really great too, but I this top was just a little too much for me. She did include a dressed-up look suggestion with this top for a way to wear this to work, but I just can't see my boss being cool with something this eye-catching. This piece also made me admit that I actually don't really like animal print that much so I went back into my settings and added that to the "I'd rather not" list. However, if you're intrigued with trying the blue leopard trend, here's a similar top! Her- OMG I really like this sweater!! Her- Really? That's the kind of clothes you're getting?? I thought they'd just send you a t-shirt or two but not something like this! This is probably my favorite piece from this month (although I'm getting a whole lot of use out of that skirt) because it's a super warm sweater that's not too over-the-top but also not too boring so it felt like the perfect balance. It's great because I can be cozy and comfortable in class while I'm trying to stay focused in tax law haha. 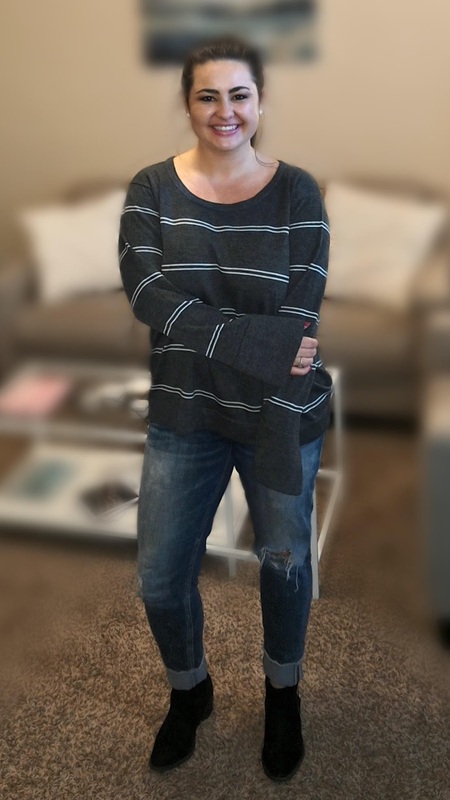 If you love it as much as I do, I found this sweater that's basically the same thing and on sale! 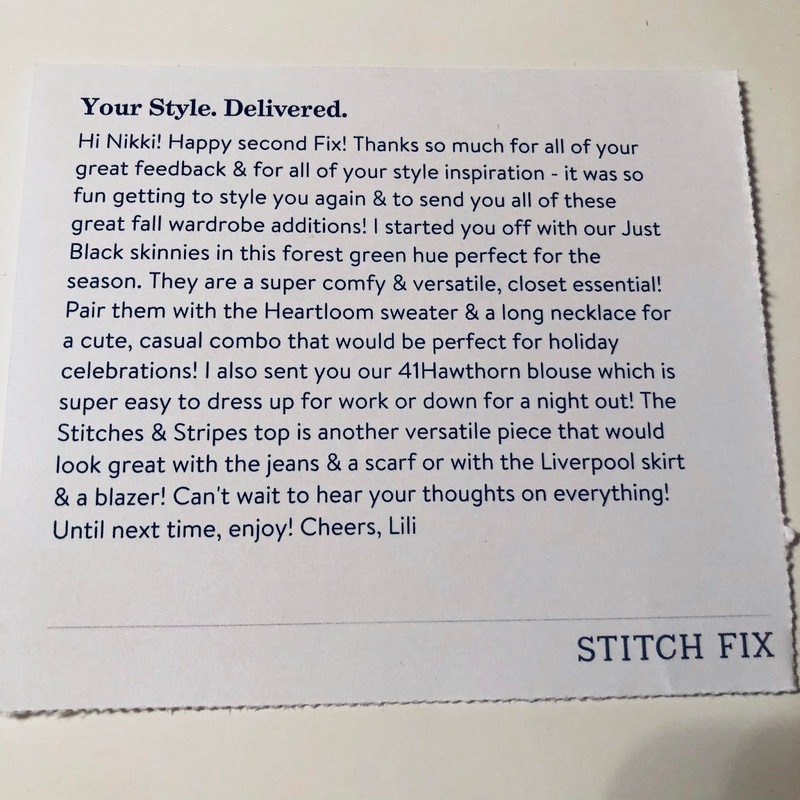 4/5 were out of the park so Lili just keeps getting better! In the request box I threw in that I'd like to be paired with Lili again just because I feel like this girl gets me and why ruin a good thing? I'm sure she has hundreds of other clients but hopefully it's easier on them that a new stylist doesn't have to learn all about me each month, but we'll see! 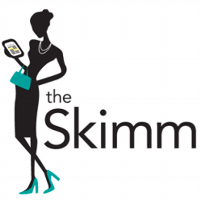 Maybe I'll mix it up just to put their other stylists to the test haha. 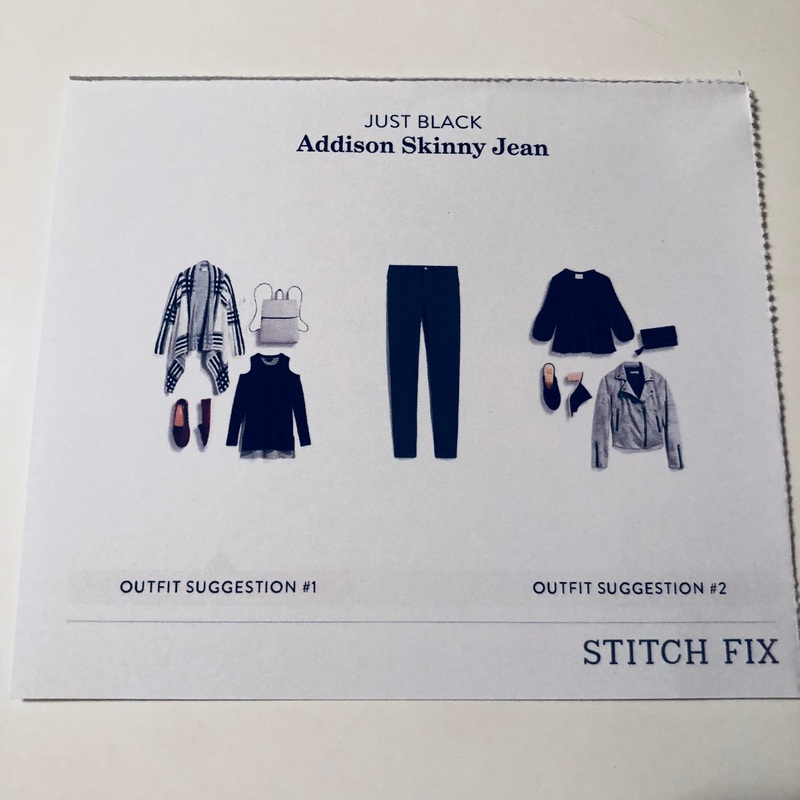 If you're still considering trying out stitch fix and are too lazy to scroll to the top here's the link to get your stylist fee waived so you can test it out for yourself! Also, two other clothing subscription boxes are Le Tote and Rent the Runway Unlimited and fellow law school/fashion blogger Jordyn tried those out for you in this post. 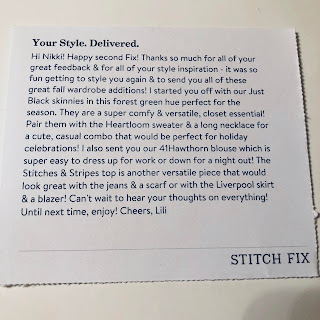 You are so sweet for sharing my post on Le Tote and Rent the Runway, thank you <3 I love reading your Stitch Fix reviews, it's so fun to see what you kept and what you sent back. The pencil skirt you kept and that last pullover are SO cute. I am a leopard print person but for some reason colored animal print is a little too crazy for me, though like you I've seen other people look adorable with it on. Of course! It was such a in-depth post and it felt too relevant not to include :) I hope one day I can have your effortlessly stylish touch!